Miguel Berchelt was something of an unknown last year, but that was before he knocked out Francisco Vargas to claim the WBC World super featherweight title. Now, the entire boxing world knows who he is as the Mexican defeated former world champion Takashi Miura on points to defend his title in a one-sided fight before 5,846 at The Forum in Inglewood. Judge Max DeLuca scored the bout 119-108, Mauri Di Fiore had it 120-109, and Hubert Minn submitted a 116-111 tally. FightNights.com had it 120-107. Although the opening round started slow, Berchelt, 25, put Miura on the canvas with a quick combination. That set the pace for the rest of the night, as Berchelt toyed with his Japanese counterpart, timing him with beautiful combinations. The 33-year-old Miura was unable to keep up with Berchelt’s punch rate and resorted to throwing one punch at a time. Additionally, he was hesitant, and his punches did not have much snap to them early on. Miura kept Berchelt honest, connecting with a big straight left hand in the fifth. However, it made little impact as Miura couldn’t muster up enough energy to land another, as he continued to eat combinations from his adversary. Berchelt was just on another level. He made Miura fight at his pace and clobbered him with tremendous left hooks to the liver and counter left hooks to the head. To Miura’s credit, he never gave up and kept coming forward. 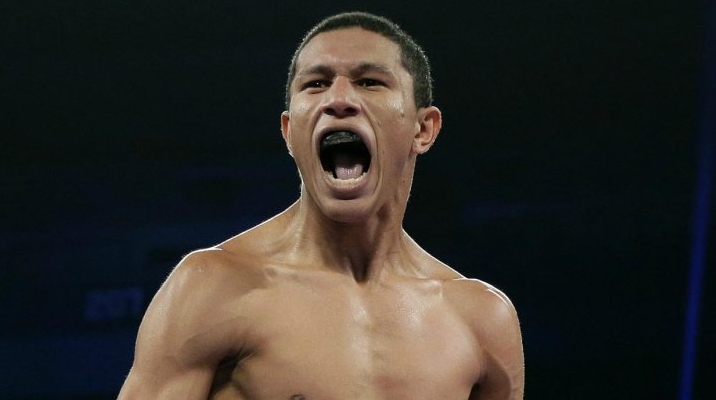 Now Berchelt can look forward to the future with possible bouts with WBO titleholder Vasyl Lomachenko and Orlando Salido on the horizon.